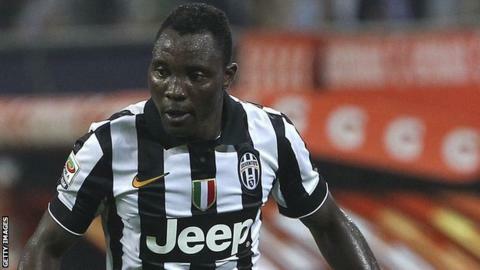 Ghana midfielder Kwadwo Asamoah has been ruled out for at least three months and will miss the 2015 Africa Cup of Nations. The 25-year-old Juventus player had keyhole surgery on Tuesday to fix a cartilage problem in his left knee. "The recovery time is estimated at not less than three to four months," said the Turin club in a statement. Asamoah suffered the injury in November and missed the Black Stars' final two Nations Cup qualifiers. His absence from the tournament, which will be played in Equatorial Guinea from 17 January to 8 February, will be a big loss to Ghana and new boss Avram Grant. Asamoah has made 66 senior international appearances for Ghana, scoring four times. The Black Stars won the last of their continental titles in 1982 but came closest to adding a fifth in 2010 when they lost the final 1-0 against Egypt in Angola.